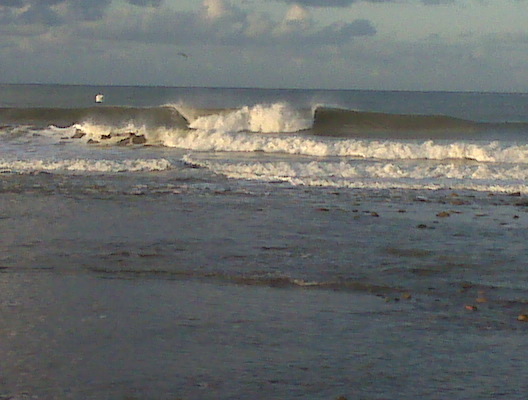 Was That Tom Curren at Trestles Today? In that last few yards of the bike ride this morning, slowing down to go under the trestle, I looked over to see a guy walking and sipping his cup of jo. We traded “good mornings.” I thought “Man, that guy looks like Tom Curren.” Looking down the beach, I saw the event tents and realized I probably wasn’t just seeing things. The way I figure it, Tom had dropped off his youngest son Patrick, then went to park the car. This was a WSA event. I didn’t find Patrick on the ratings chart, but that’s my best guess. Tom–welcome back to join the Crowd! You’re always welcome to jump in with us. As for you WSA chargers–sorry the waves were a little disappointing, but hopefully you snagged a couple of these rare waves. This was a Surfing America Prime event. Both of Tom’s kids surf the event. His son, Pat, placed 2nd surfing up a division in U16. This is one of only three events State Parks allows at Uppers. They carefully vet the applicants and choose the organizations that have the most respect for the location and keep a small footprint with limited vehicles and leave the site better and cleaner than they found it. The also limit the contests to youth only events. Fun to see the legends of surfing bring their kids to the events. Not just Tom Curren, but Peter Mel, Richie Collins, and Dino Andino to name a few. Wow Greg, that’s great stuff. Keep up the good work. We love the innovation. Also, we especially appreciate the “respect” aspect. Thanks for leaving the point open during the contest. 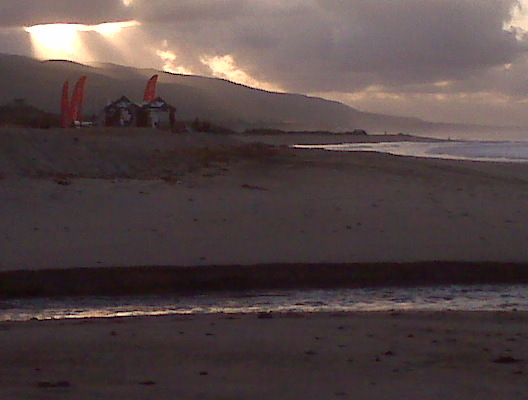 Hopefully, the bay eeked out enough waves to make it a real contest.